Aimed at teaching professionals working with first-year students at institutions of higher learning, this book provides practical advice and specific strategies for integrating contemporary information literacy competencies into courses intended for novice researchers. The book has two main goals - to discuss the necessity and value of incorporating information literacy into first-year curricula; and to provide a variety of practical, targeted strategies for doing so. 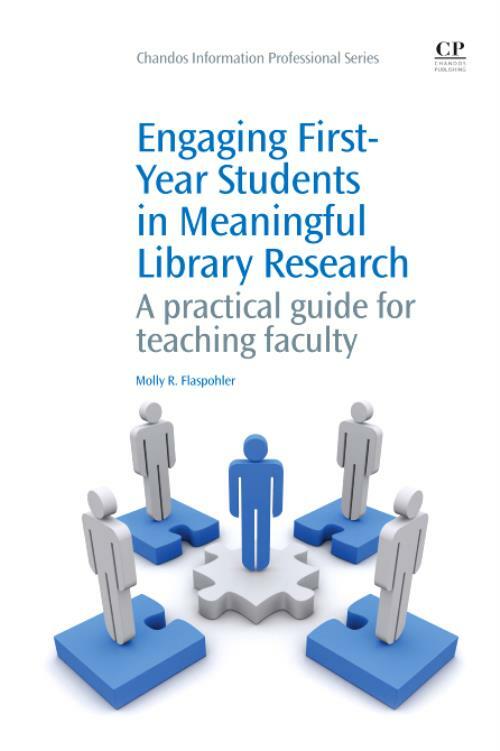 The author will introduce and encourage teaching that follows a process-driven, constructivist framework as a way of engaging first-year students in library work that is interesting, meaningful and disciplinarily relevant. Chapter 1: The Millennials go to the library: or do they? What is information literacy and do contemporary undergraduates really need it? How can course content and information literacy co-exist? Flaspohler, MollyMolly R. Flaspohler is Special Projects Librarian at Concordia College, Moorhead, Minnesota where she has worked for 19 years. She has published and presented on a range of library issues including program assessment, information literacy in first-year composition courses, and librarian sabbatical leave trends.